Here are some more special offers available for a limited time! See the entire list on our Internet Specials page. 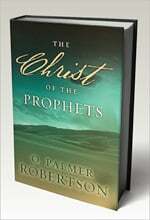 In this thorough introduction to the prophets of ancient Israel, O. Palmer Robertson captures the passion and purpose of their extraordinary writings. Hardback edition. Understanding the doctrines of grace will give you a clearer picture of God’s sovereignty.Dr. Steven J. Lawson takes you on a heart-stirring survey of the Scriptures to show that the Bible in its entirety teaches the doctrines of grace. This selection of twelve traditional carols is provided to help enhance your worship of the Christ child. The acclaimed Saint Michael’s Singers recorded these songs in England’s renowned Coventry Cathedral. Introduce your church or small group study to the five solas of the Protestant Reformation — biblical doctrines that demonstrate the glory of God and the truth of His Word. R.C. Sproul provides an overview of the book of Romans and explains Paul’s teaching about God’s law, man’s sin, and God’s wrath. Why do atheists believe in unbelief? R.C. demonstrates that atheists have a vested interest in denying the existence of God who claims moral authority over our lives. Dr. Sproul offers practical, Biblical wisdom to help build and sustain a strong, Christ-centered marriage. This CD devoted entirely to classical music showcases the remarkable, God-given talent of the Taubl children and highlights their individual instrumental skills amidst the beauty of the great classical repertoire. Explore the depth and richness of God’s grace in saving sinners. With this book you can enrich your understanding of key biblical teaching about the nature of God, man, and salvation as it was recovered and defended by the Reformers. R.C. 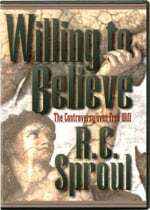 Sproul examines the issue of free will throughout history, looking at the views of Augustine, Pelagius, Luther, Calvin, Arminius, Edwards, Finney, and others.